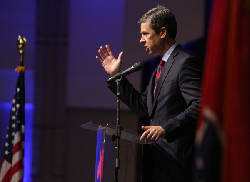 Chattanooga Mayor Andy Berke's Twitter criticism of Republican senatorial candidate Marsha Blackburn Thursday seems to be an indication of his interest in the 2018 Senate race. NASHVILLE — Former Republican U.S. Rep. Zach Wamp said he thinks Chattanooga Mayor Andy Berke should step aside as the city's chief executive if the Democrat decides to run for his party's U.S. Senate nomination, because a statewide campaign becomes a "full-time job." Citing the difficulty of balancing mayoral duties with a state campaign, the former Chattanooga congressman who ran unsuccessfully for governor in 2010 said in an interview that "I think that he [Berke] could win the nomination. But he needs to step down as the mayor of Chattanooga." Wamp said a person "can't be a sitting executive of a city or state and run a statewide race, because running statewide is a full-time job." A spokesman for Berke, who is weighing a bid to enter the Democratic primary in the 2018 race to succeed retiring U.S. Sen. Bob Corker, R-Tenn., did not respond to emails Saturday on Wamp's remarks. 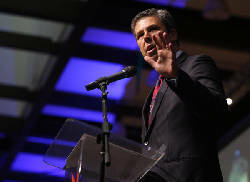 Nor was there a response from the Berke camp Friday after Republican Gov. Bill Haslam, a former Knoxville mayor, cited similar issues when announcing he would not run for Senate. Haslam recalled his own experience running for governor in 2010 as mayor of Knoxville. Wamp, noting he was a sitting congressman when he sought the 2010 GOP gubernatorial nomination and lost to Haslam, said that as a legislator "I still showed up to vote as I could. "But to be honest with you, it's a conflict. It's very, very, very difficult and I would say for the good of the city where I live and pay taxes, if the mayor's going to run statewide as mayor, whenever he becomes a candidate he should step aside," Wamp said. Berke said he was exploring the Senate race in which Democratic Nashville attorney and decorated Iraq war veteran James Mackler has already announced he's running. A former Democratic state senator, Berke was re-elected last March to a second term and is barred from seeking a third one. In a teleconference call last Sunday with about 60 Chattanooga supporters and fellow Democrats from across Tennessee, he addressed the issue of balancing mayoral duties with statewide office. Acknowledging the balance between office and campaign "is always a challenge," Berke quickly pointed out that "you were around over the course of the last year when I had to run for re-election for mayor at the same time I was mayor and continued to work hard and do my duties." The mayor said "I love what I do" and he is proud of his mayoral record. Moreover, Berke added, "the only way that I'm ever going to get elected to something else would be to continue to have a record of progress. What I would have to do is work hard, make sure I'm always accessible even if I was in a different part of the state. Luckily, I have great people who work around me who can help out." In announcing his decision not to seek the Senate seat on Thursday, Haslam told reporters that after launching his bid for governor in 2009 during his second term as Knoxville's mayor, "I was sort of part-time mayor, if you will. And I realize how much you leave on the table doing that. "I just don't feel like there's a whole lot of things we can do here, and I would always regret not having to put my whole self into a last year." If he decides to run, win or lose, Berke would still have more than two years left as Chattanooga mayor. At this juncture, it's nearly 11 months to the Aug. 2, 2018, primary and almost 15 months to the Nov. 6, 2018, general election. After Haslam's announcement last week, the Republican primary candidates began falling into place. U.S. Rep. Marsha Blackburn, R-Tenn., announced her bid within an hour. Meanwhile, former U.S. Rep. Stephen Fincher, R-Tenn., announced today that he begins a listening tour on Monday in upper East Tennessee to determine whether he will run in the GOP primary. Wamp said before Fincher's announcement he was delighted that Blackburn, a former U.S. House colleague, is running for Senate, calling her timing "excellent." As for his own political future, Wamp said he's happy with his consulting firm and serving as a national co-chairman of "Issue One." The bipartisan group includes about 180 former members of Congress and pushes for political reform and government ethics in areas ranging from disclosure and transparency to ethics and campaign contributions. Asked if he would consider running for office again, Wamp laughed and said "the answer is no. My wife would leave me." Wamp's son, Weston Wamp, ran unsuccessfully in 2012 and 2014 for his father's former seat, losing to U.S. Rep. Chuck Fleischmann in a three-man GOP primary. But in a squeaker of a 2014 GOP primary in a two-man race, Fleischmann won by fewer than 500 votes and Wamp carried the city of Chattanooga. There has been speculation in some circles that down the road, Weston Wamp could become interested in running for mayor, a non-partisan post. "I can't speak for my son or my daughter [Coty] on what they may run for," Zach Wamp said, noting he spoke after Haslam's comments. "There's no ulterior motive, but I can't speak for either of my two kids." Weston Wamp could not be reached Sunday for comment. Besides Haslam's successful experience running for governor while mayor in 2010, there's another case from 23 years ago that didn't turn out so well when then-Nashville Mayor Phil Bredesen was enlisted by top Democrats to run in the 1994 governor's race. Entering the crowded field in late 1993, Bredesen won the Democratic nomination but lost the general election to Republican U.S. Rep. Don Sundquist of West Tennessee. Republicans swept both U.S. Senate seats, as well. Dave Cooley, who managed Bredesen's effort, said while it was "at the very least a stretch" for then-Mayor Bredesen, "it's a real plus to have strong staff in place to manage the day-to-day operations of the city." Which, Cooley said, Bredesen had. So did Haslam. 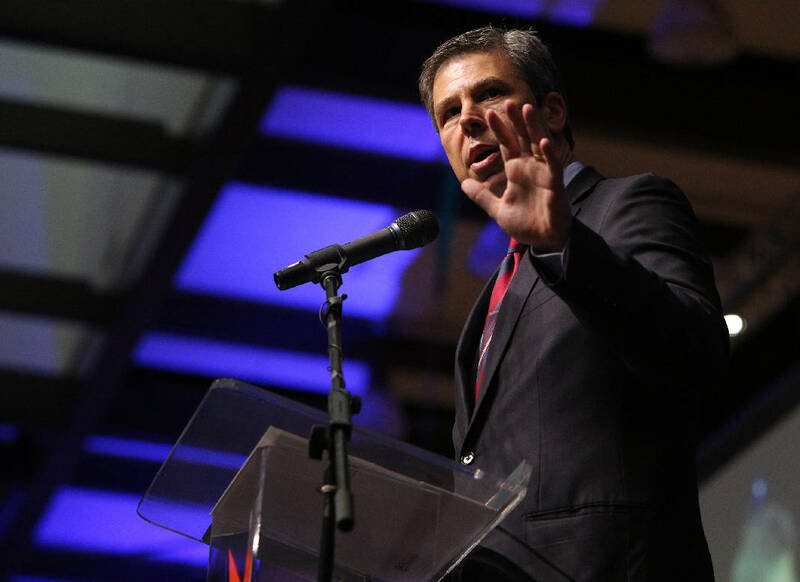 Moreover, Cooley said, in Bredesen's case there were "few major initiatives on the table" during his gubernatorial bid. After losing to Sundquist, Bredesen finished out his first term as mayor and was elected to a second term. During that period, he embarked on a downtown revitalization, brought the Tennessee Titans and the National Hockey League Predators to Nashville, added to local parks and revamped the city's library system. In 2002, the Democrat ran for governor again, winning and serving two terms.